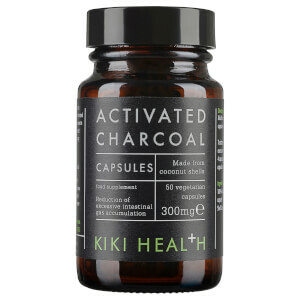 Improve your overall health and wellbeing with the KIKI Health Organic Metabolism Management Bundle, a set of three food products and supplements which can be added easily into a good diet to offer multiple benefits to skin, energy levels and the digestive system. Care for your body with a four-root blend that arrives in powder form, a simple and easy addition to cereal, smoothies or desserts. Consumed by the Indigenous people of the Andes for centuries, Maca is a robust root vegetable that grows at high altitudes away from environmental pollution. KIKI Health’s Maca Powder intelligently blends four different varieties of Maca, which combines the benefits of each type of root. Maca is a complete protein that boasts an array of Amino Acids, Fatty Acids and Vitamins, as well as a dose of Iron, Potassium and Calcium. These are able to encourage and support a healthy immune system, boost the body’s energy levels and maintain muscle function, alongside ensuring a healthy digestive system. The powder is a Maca powerhouse that provides and supplements the body with unique nutritional benefits. A 100% raw, certified organic powder ground from a strain of Spirulina organically grown on a peninsula surrounded by natural forests. Maca Powder: Add around one teaspoon to yogurt, cereals, smoothies or desserts. Spirulina Powder: Add two (2) teaspoons or more in a glass of water or juice or try mixing it with food. Spirulina Powder: 100% Organic Spirulina Powder.